April 11, 2019 6:00 p.m. - 7:00 p.m. Families will be notified based on availability beginning March 1. In the event of a waiting list, placements will be made based on the date/time stamp of the application. 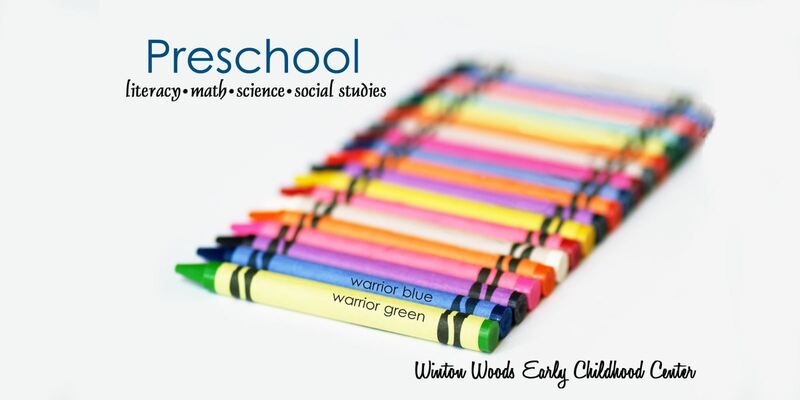 Winton Woods City Schools will offer partial and full day preschool for residents of the Winton Woods City School District. We will offer four partial day programs (two morning classes and 2 afternoon classes) and two full day classes. Tuition payments are made for 9 months (September – May) and are due on the first of each month. Tuition for the partial day programs is $150.00 per month. Tuition for the full day programs is $530.00 per month. A sliding scale is offered for families that qualify based on the 2018 Federal Poverty Guidelines. Children entering the partial day programs must be three on or before September 30 of the school year of attendance and fully potty trained. Children entering the full day programs must be four on or before September 30 of the school year of attendance. All preschool classes follow the district calendar. Partial day classes meet Monday through Thursday. The morning session is from 9:00 am to 11:45 pm, and the afternoon session is from 1:15 pm to 4:00 pm. Full day classes meet Monday through Friday. Hours are 9:00 am to 4:00 pm. Transportation is provided for all children within the district boundaries. Snack will be provided for partial and full day classes. Children in the full day program can purchase lunch from the school cafeteria or pack their own lunch. If you are interested or have any question about our preschool, please call Elizabeth Styles at (513) 766-5372.